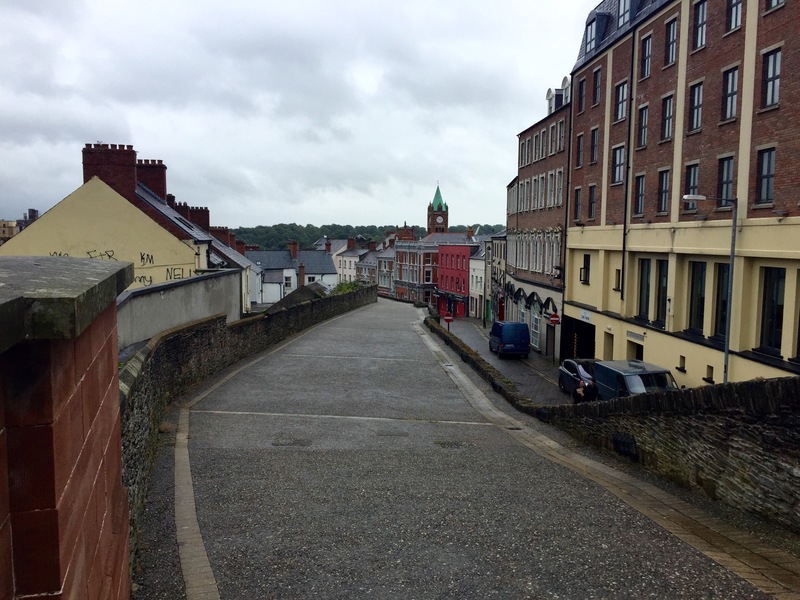 So, I knew about the accent and I knew about Nadine, but what else did I know about Londonderry? Not very much. It has a unique history, one which I won’t delve into especially deeply here, but I just wanted to show you a little of what the city has to offer. It was raining cats, dogs and leprechauns on our visit in early August, but you’ll be pleased to hear I still applied my SPF 50 moisturiser first thing in the morning. I feel like I should add that this outfit above was more or less what I wore for the entire week: Sweaty Betty leggings, Nike Air Max Theas and my trusty Jack Wolfskin waterproof. My German friends would be proud. Anyway, the photo above was taken behind the town hall in Derry, which is where we caught the red city tour bus. I’ve done these bus tours in Prague, Hamburg and Rome, and they’ve generally been very good. In fact, the one we did a few days later in Belfast was both excellent and hilarious. However, this bus tour left a lot to be desired. I’m not sure whether it was down to the fact that the pre-recorded commentator had the dodgiest Irish accent my little ears ever did hear (in that I didn’t think he was actually Irish at all, but putting it on…), that his commentary on Derry’s past was quite biased, or the fact that the weather was so awful that we couldn’t really even see The Bogside Murals out of the windows, but one thing is for sure- I wouldn’t do this tour again. 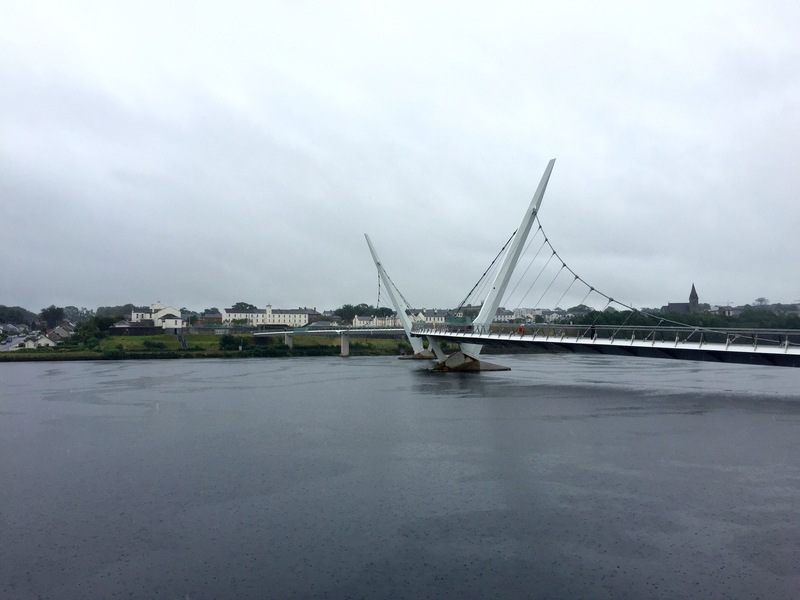 Photo Fail #2- One of Derry’s most iconic sights…not that you’d know. Oh, British weather. Speaking of The Bogside, it’s an area outside of Derry’s city walls which played host to some of the events during The Troubles, including the Battle of the Bogside. The Bogside is popular with tourists due not only to its history, but its murals. 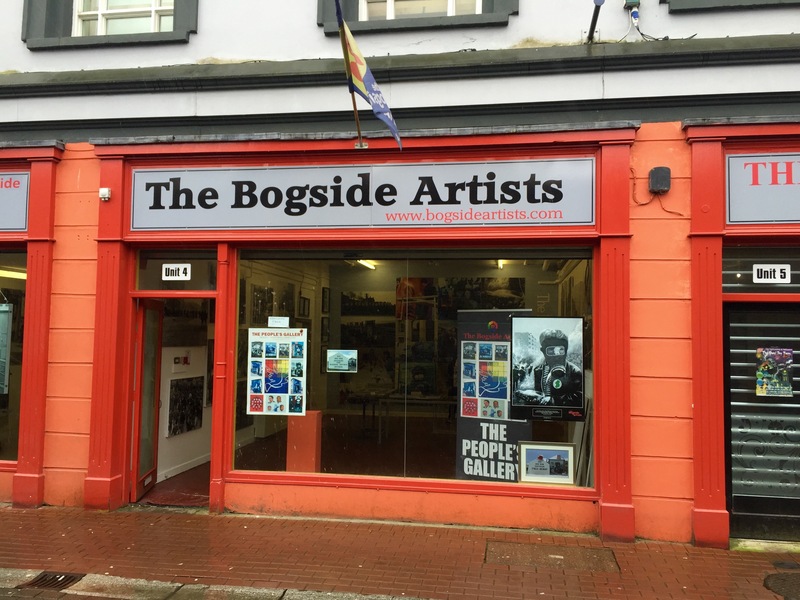 The Bogside Artists have commemorated some of the events during The Troubles, including Bloody Sunday, throughout the Bogside area, which make for a permanent, visual reminder of the city’s chequered past. The artists also have a gallery very close to the town hall. I was fascinated by The Bogside Artists, their work and their determination to carry on portraying such key parts of Derry’s past in the face of frequent opposition. While in the gallery, I bought a small signed print of one of their most famous works which I also spotted during the bus tour. 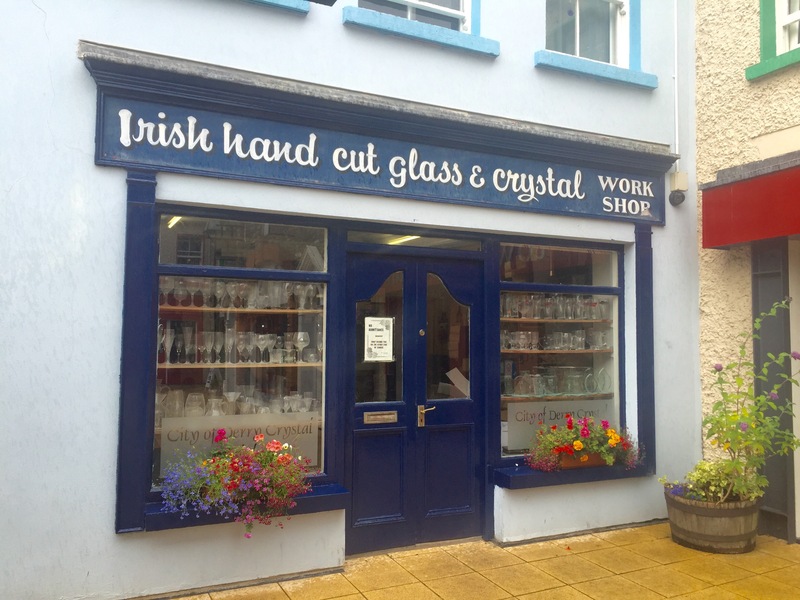 Staying with the creative side of things, another notable part of Derry is The Craft Village! 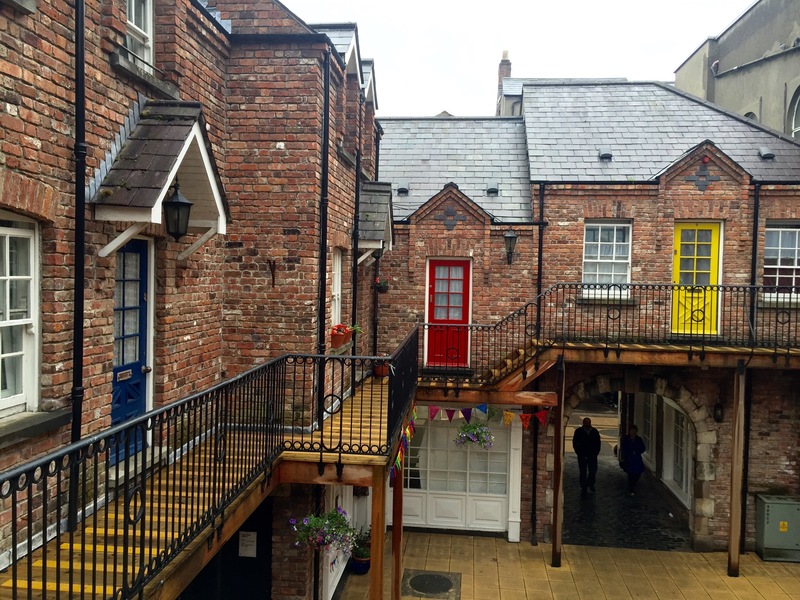 This little area was right up my street. 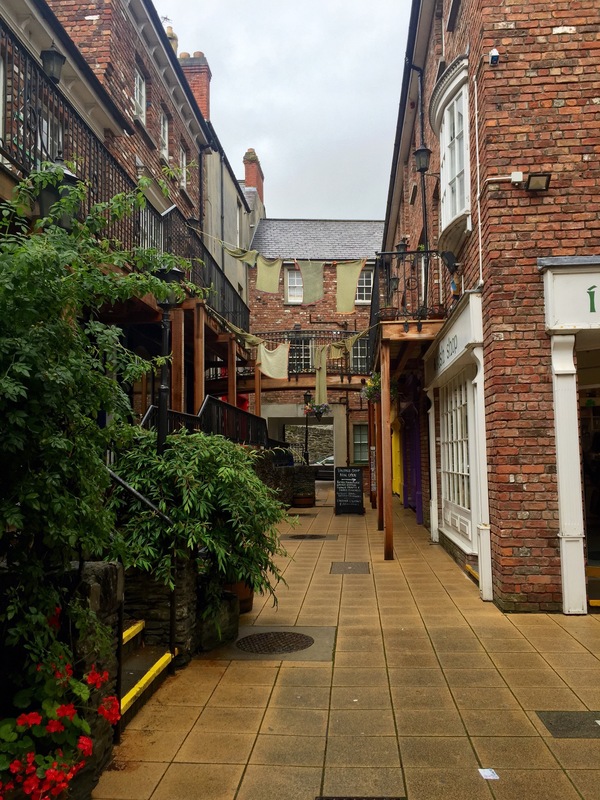 Its general twee nature, bright colours and independent cafes and shops make it a lovely, more or less peaceful, haven in the middle of a busy city. 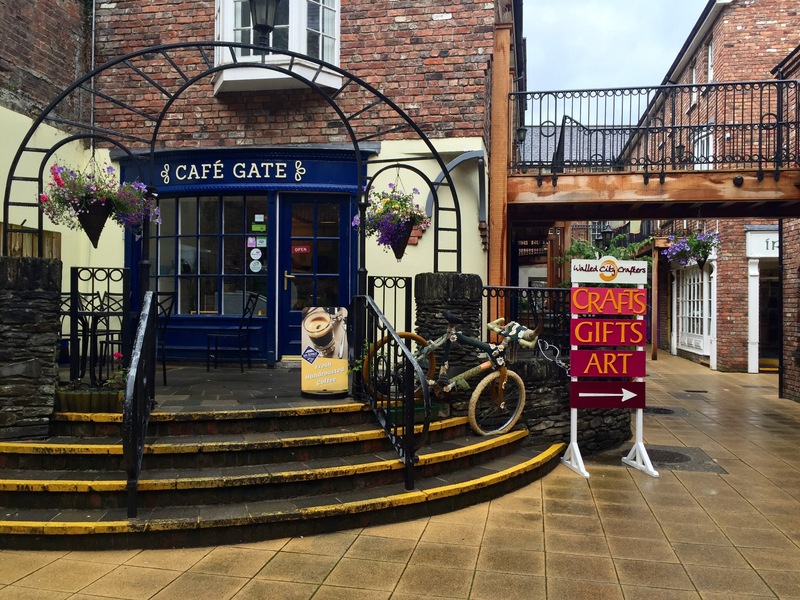 Even though it was still pouring with rain, The Craft Village never lost its charm. 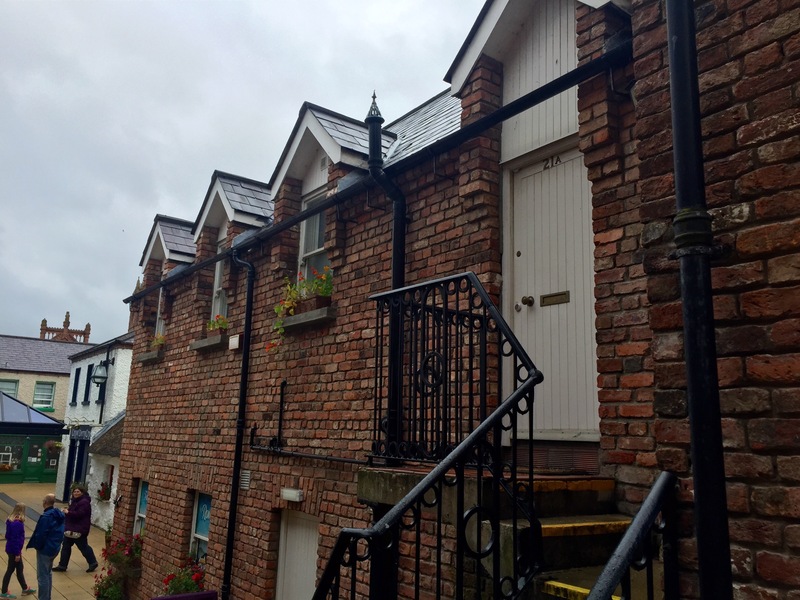 We only spotted The Craft Village while walking the city walls, which is something I would definitely recommend to anyone visiting Derry! 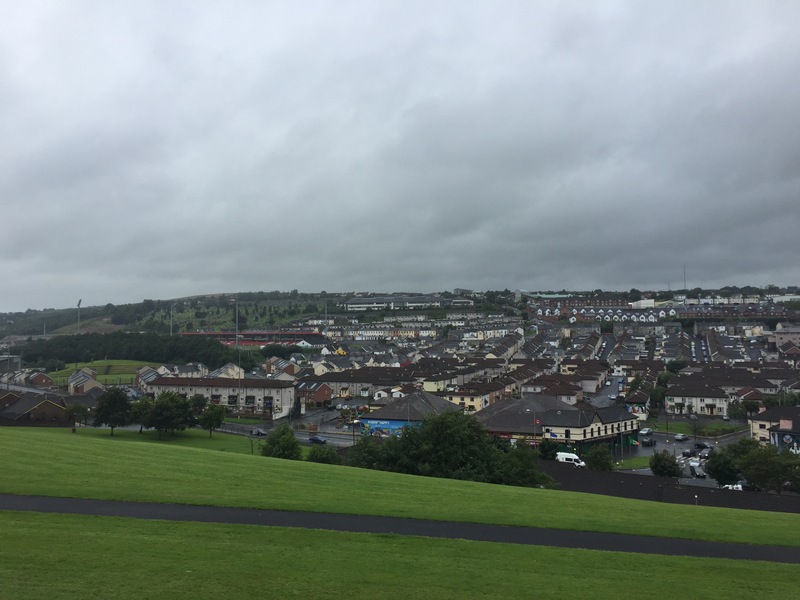 They’re only roughly 1.5km in distance and give a better impression of the city itself, as well as great views across the surrounding area, including The Bogside and its murals. 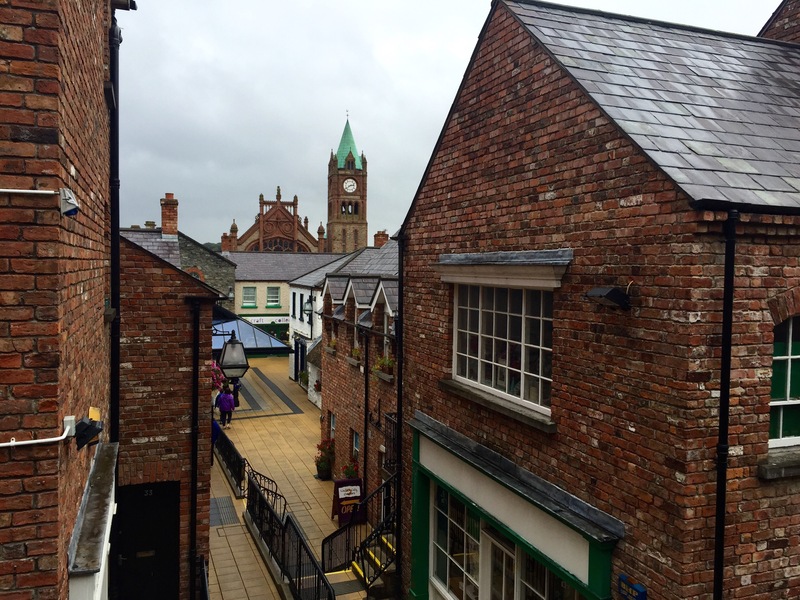 I’m so glad we were able to see another Northern Irish city other than Belfast, and to learn a bit more about this country’s past. 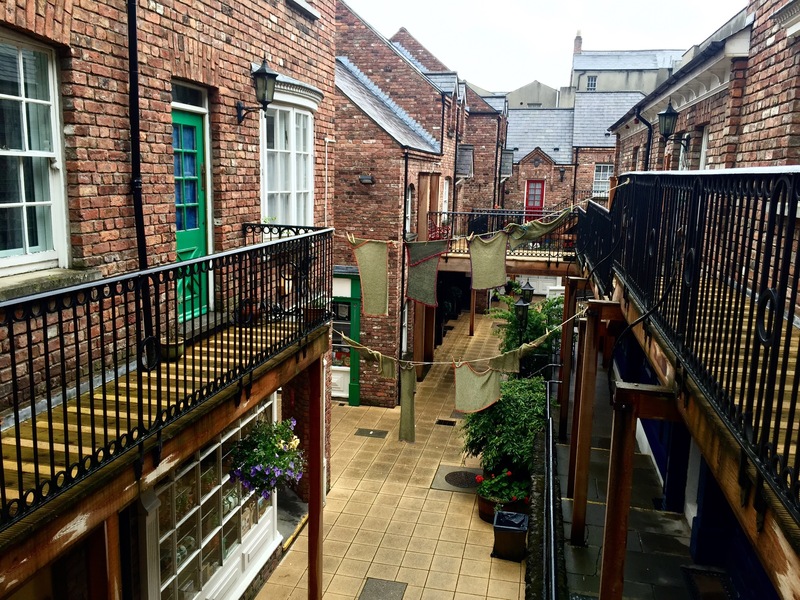 It’s well worth a visit, even if just to listen to the lovely accent and to experience the atmosphere of a walled city! ← Are you a #narsissist?